Not to mention caffeine, which will boost your energy even more! 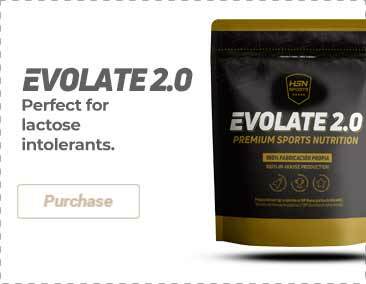 Amino acid blend [Soluble instant BCAA's (L-leucine, L-Valine, L-Isoleucine)], acid (citric acid), flavorings, acidity regulator (malic acid), anti-caking agent (silicon dioxide), antioxidant (tartaric acid), sweeteners (acesulfame-K, sucralose, steviol glycosides), sunflower lecithin. Once opened, store in a cool (under 25ºC), dry and dark place. Do not exceed the stated recommended daily dose. Keep out of reach of the smallest children. Nutritional supplements should not be used to replace a balanced diet. This product is not advised for children nor those who are sensitive to caffeine, pregnant or lactating women, consult your doctor if you are taking medication or have a medical condition. Use according to the instructions.